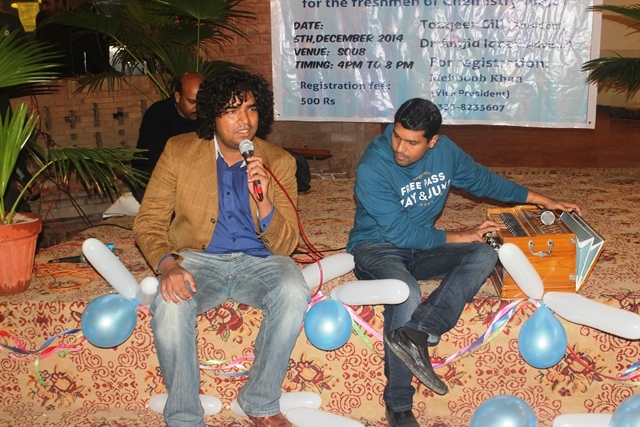 On 5 December 2014, S-Octa was brimming with festivity and excitement as Freshmen majoring in Chemistry gathered for a welcome party organized by the Speers Chemical Society. Dr Dildar Ahmed, Chairperson, Department of Chemistry at FCC started the event with a ghazal, followed by a number of singing and dance performances, funny speeches and comedy acts. 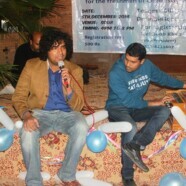 Syed Tanseer Zaidi, Sufian Aslam, Asif Salas, Jawad and Anand Nazeer were among the talented students who performed. A Christmas cake was also cut by Dr Christy Munir, Professor Emeritus at FCC.